We’re made in God’s image. God spoke creation into existence. We have the same power in our tongues. With our words we release life, or death. Life filled words release love and faith and have the power to build. Death filled words release fear and doubt and have the power to tear down and destroy. It’s crucial that we be attentive to every word that comes out of our mouths, even those about ourselves. We must always build up and never tear down. This is essential for true disciples of Christ/Messiah. 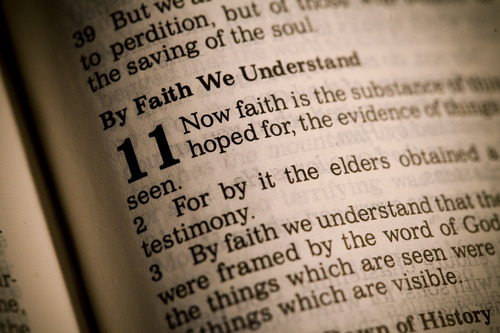 Check out these Scripture verses on faith and let them inspire the words that you speak. Declare this now: Thank You God, that I will trust and believe You to help me release words of faith into my life and into the lives of all people. I choose to always build up and never tear down with my words.